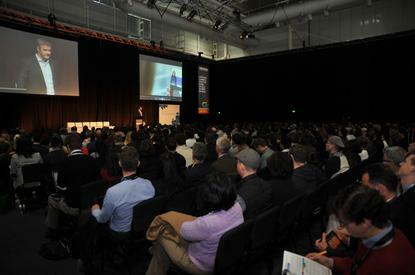 Speaking on a panel at the Online Retailer Conference and Ecommerce Expo in Sydney on 21 August, country manager of online fashion retailer, ASOS Australia, Sally-Anne Newson, said retailers need to be building teams that are focused on giving customers a more enriched online experience. With online retail still just 6 per cent of total retail sales in Australia, compared with 13 per cent in the UK, she saw significant opportunity for growth, provided brands were driven by consumer trends. Newson also claimed the Australian retail online space had historically been “reasonably neglected” in terms of ensuring the right infrastructure, skills and training are in place to drive the industry. This deeper level of engagement with customers won’t be about “selling them a frock”, Newson added. Former COO and CMO of US-based fashion online retailer ModCloth, Kerry Cooper, agreed inspiration should be the driving force for brands and said she was excited by the opportunity to use technology and digital platforms to help customers discover what they want. For head of online at alcoholic beverages retailer Dan Murphy, Fay Ilhan, brands operating online also need to recognise what customers are actually using their online properties for. She pointed out two-thirds of customers use the Dan Murphy site to research, check prices and locate a store, but choose to make purchases in person. As a traditional bricks-and-mortar retailer, Dan Murphy has been working to grow its online presence and has increased online staff from five to 20. The process has come with plenty of challenges, one of which was ensuring all internal teams came on the digital journey, Ilhan said. Dan Murphy has also created five pillars to help keep staff constantly evolving the online journey, Ilhan said. These are to be bold; always question everything and ask why; recognise that the work is never over; be ruthless in prioritisation, and don’t be afraid. UK department brand John Lewis is recognised worldwide as a leader in omni-channel strategy, and its director of retail operations development, Simon Russell, said there is now an expectation at board level that executives have experience both in the physical and virtual retail environment. This will help the company continue to innovate and refine its customer-led approach even as the global retail space is disrupted by further technology and cultural trends, he said. As an example of just how quickly online retailing is changing, Brands Exclusive Daniel Jarosch pointed out 50 per cent of its sales are now transacted through mobile app on weekends. This mobile phenomenon has already impact how the retailer presents products to online customers. “We have to continue to be relevant in the context that the customer is in at that point in time,” Jarosch added.